I want to build a small bass guitar bin. Thinking four 8” drivers. What would y’all suggest for a budget build? Also, if anyone happens to have such drivers for sale I’d be interested. I've got QTY 2 of the Eminence 10 inch buyout from some years ago. Let 'em go for a song. Details to follow. 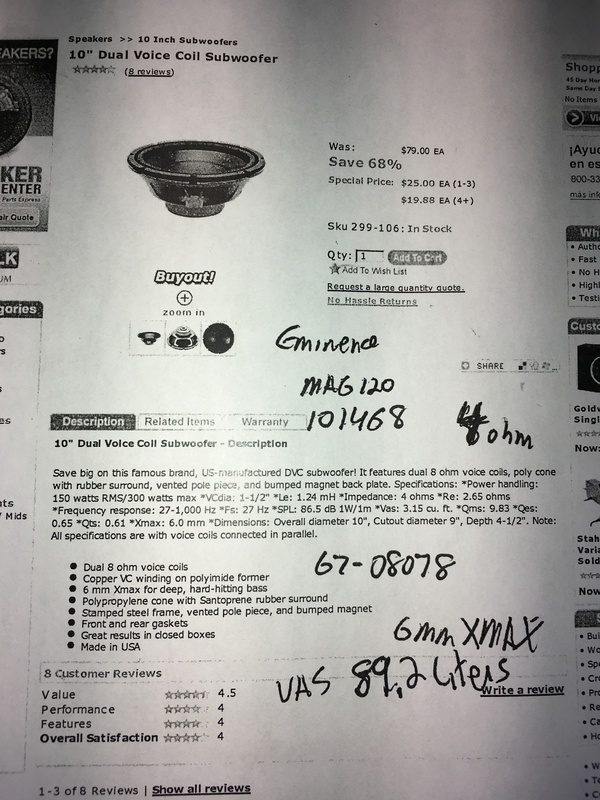 8" for bass guitar? No...10" is the smallest bass guitar speaker. Eminence Legend BP102 looks pretty good to me, or the basslite line if you want it to be light weight, but less "budget". The best bass rigs I've heard include a HF driver as well, not just a bass driver that's limited to 2kHz. There's details beyond 2kHz even with bass guitar. 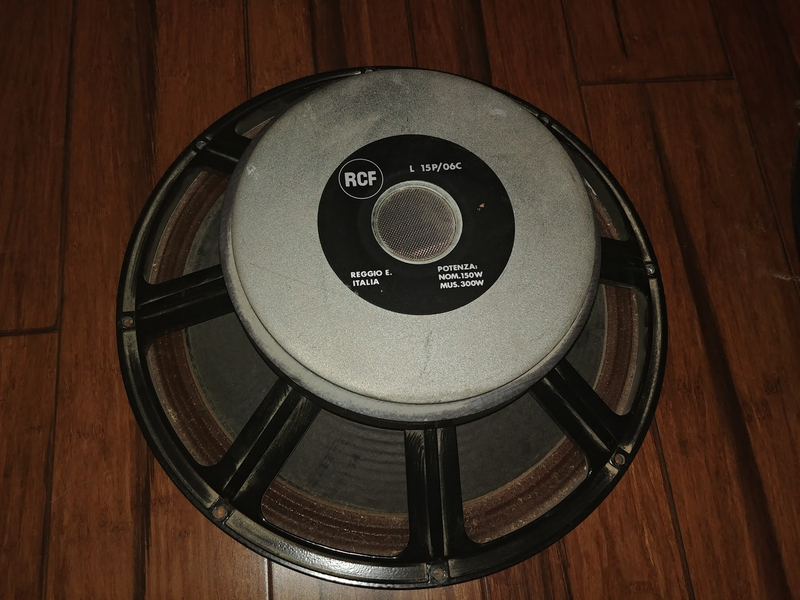 Before I moved I had a hell of a nice pair of big vintage RCF 15" bass guitar speaker, but I sold them so I didn't have to move them. IIRC the magnet measured 10" across, maximum BL. BK, would you be interested in 4x Pyle 1070 from the '80s? These are 10" prosound with 70oz magnets, a pair of 8 ohm, and a pair of 4 ohm drivers. Thanks guys. I can’t do bigger than 2 X 10” so the Pyles won’t work. But yeah, @rjj45 I’m interested in the pair of Eminence buyouts. What impedance are they?